Last Saturday Abi and myself, along with Minicine members Barry, Faye and Ben, travelled to Selby at stupid o’clock in the morning for a packed day of film as Selby Globe Community Cinema played host to the Tour de Cinema, as part of Yorkshire Festival‘s build to the Grand Départ next month. 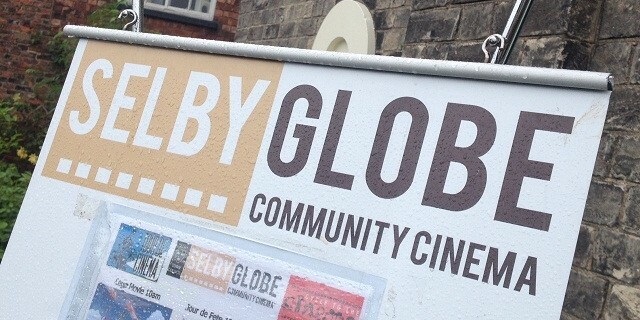 Situated in Selby Town Hall, the Globe Cinema first began screening films in 2009 and have since built up a programme that includes four strands; a screening each and every Monday night, Silver Screen Matinée with lunch, a film for families Holiday Cinema, and an Outreach Cinema which provides rural areas of the Selby District with access to film. Volunteer led, Selby Globe were awarded the Duke of York Community Initiative Award in 2011, for the development of community spirit. Our day began with a Holiday Cinema screening of The Lego Movie (2014) – which is far smarter and enjoyable than a film about building blocks has any right to be – and then, after a short break, it was time to settle down for first Tour de Cinema film proper, Jacques Tati’s Jour de Fête (1945). The full programme also included Vittorio di Sica’s Bicycle Thieves (1948), Alan Bennett’s A Day Out (1972), Jørgen Leth’s A Sunday in Hell (1977), and Daisy Asquith’s Sheffield Doc/Fest’s specially commissioned Velorama (2014) – a docu-montage of archive footage from the Yorkshire Film Archive – which was preceded by a Q&A with the film’s music composer, Bill Nelson. 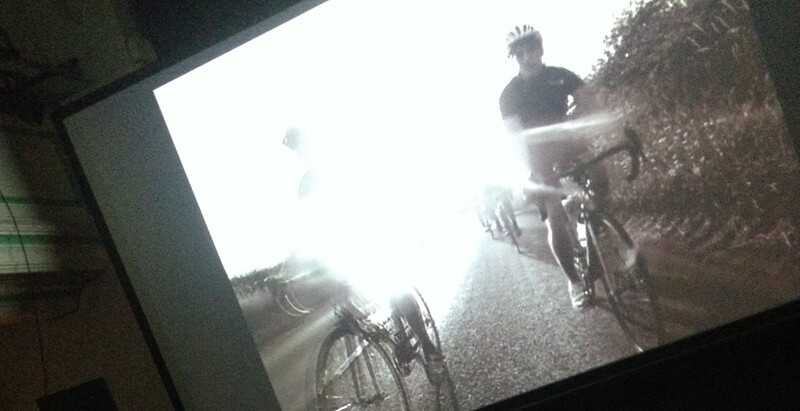 The programme offered a varied and diverse look at people’s relationships with bikes in cinema and offered the audience an opportunity to see work by some of film history’s most regarded artists. Between the screenings there was time to chat with fellow audience members over tea and cake, and the Globe staff who told us about their plans to relocate to a purpose-built venue in the soon-to-be redeveloped monastic warehouse at the other end of town – developments we’re certainly excited to see unfold! In the mean time, the Globe’s next screening night takes place Monday 16 June when they’ll be showing both The Book Thief (2013) and Spike Jonze’s Her (2013). 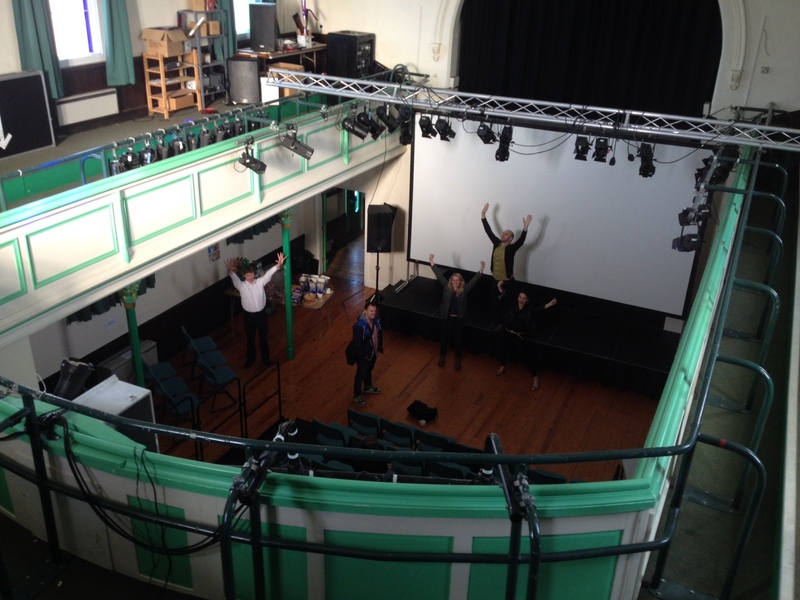 Films start at 7.30PM and tickets are a mere £3.50. Sharing old war stories with Eva of Selby Globe Community Cinema. For details of further Tour de Cinema screenings happening in your area, head over to the official Doc/Fest webpage now. Until next time… see you, Space Cowboy.